Will coconut oil help you lose weight? If you've ever Googled "coconut oil," perhaps followed by "fat loss" or "weight loss"—admit it, you know you have!—it probably seemed like an open-and-shut case. Coconut-oil makers and health journalists are hawking it as the superfood du jour to spur weight loss, and now people are even taking it as a supplement and talking about being "on coconut oil." They're putting it on their popcorn in place of butter, baking it into cookies, and blending it into their coffee, all in hopes of a smaller waistline. So what's the deal: Is this a fat or a fat-burner? Should you eat it, or should you "take it"? Here's the unvarnished truth on unrefined coconut oil! To understand the origins of this idea, you need to know a few basics about fats and oils. Nearly all dietary fats and oils are made up of triglycerides containing fatty-acid chains of differing lengths. 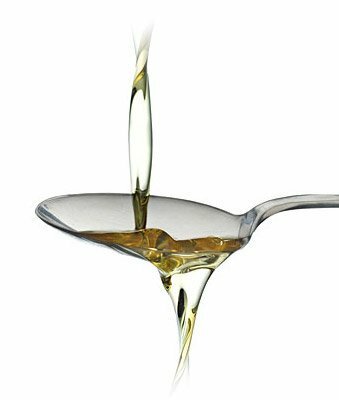 Vegetable oils and animal fats are made up of long-chained triglycerides (LCTs). Coconut oil is different in that it's made up of 60-65 percent medium-chain triglycerides (MCTs). Your body absorbs and metabolizes the shorter chain length of MCTs much more quickly than LCTs. The result is increased energy expenditure—as compared to LCTs. MCTs also contain slightly fewer calories per gram than LCTs, at 8.3 calories per gram versus 9 calories per gram. If you're simply adding coconut oil to your existing diet, you're just adding extra calories that any potential thermogenic effect won't make up for. Basically, MCT-rich coconut oil can temporarily boost your metabolism and has fewer calories than other fats.1 This sounds like a home run for fat loss until you remember one major catch: You must substitute the coconut oil for an equal amount of the LCTs that are already in your diet.1-4 By trading out an equal amount of LCT-rich fat for MCT-rich coconut oil, you'll burn slightly more calories while eating slightly fewer calories. But if you're simply adding coconut oil to your existing diet, you're just adding extra calories that any potential thermogenic effect won't make up for. To get any thermic or caloric advantage from coconut oil, you must swap out another fat source in your diet for an equal amount of coconut oil. It's true that the rapid metabolism of MCT-rich coconut oil increases energy expenditure slightly more than other fats.1-3 But here's the real question: Is there enough of a difference to translate to meaningful fat-loss results? To investigate this, a team of scientists from Switzerland fed healthy men either 30 grams of LCTs, 30 grams of MCTs, or 15 grams of each spread evenly over several small meals, and they measured the thermogenic effect.4 Compared to eating all 30 grams of fat as LCTs, eating 15 grams of the fat as MCTs led to an average of 40 more calories burned in a 24-hour period. When all 30 grams were eaten as MCTs, 114 more calories were burned. To put that into context, 114 calories is about what you would get from eating nine saltine crackers. But let's put this further into perspective. While coconut oil has been called "the fat-burning fat," it doesn't have zero calories, and it's definitely not going to act like "negative calories" in your body. Being thermogenic only means that you will burn off a fraction of the extra calories you put in your body by eating it. The net calories you gain from coconut oil still count. Again, remember that to gain any calorie-burning advantage, the coconut oil must be swapped for an equal amount of another fat—and the dose must be huge! Coconut oil is not made entirely of MCTs. At 60-65 percent MCTs, the 15- and 30-gram dose of MCTs used in the study would correspond to about 25-50 grams of coconut oil, or between 210 and 420 calories. Even when eating a large dose of coconut oil, the thermogenic effect is extremely small. It's also been shown to phase out after a few weeks, making any meaningful weight loss over the long term unlikely. 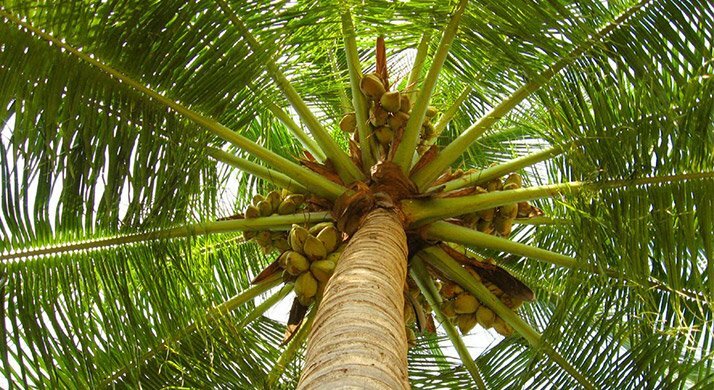 If you're looking for a source of immediate energy, coconut oil seems to make a lot of sense. 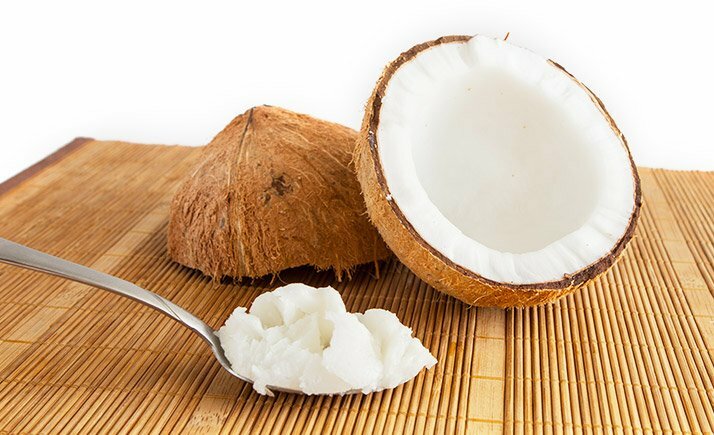 Being made up mainly of MCTs, most of the fat from coconut oil is absorbed directly into the portal circulation and quickly sent to the liver to make energy. In contrast, fats made up of LCTs go through a more complex process. Once absorbed, they're packaged into transport vehicles called chylomicrons and enter the lymphatic system, initially bypassing the liver. They make several pit stops before returning to the liver, dropping off some of the fat in adipose tissue for storage. Unlike the long-chain fats, the majority of coconut oil is immediately turned into energy rather than being stored as body fat. This has many people believing that if they eat coconut oil, they won't gain weight. After all, how could they if MCT-rich coconut oil can only be used for energy? Many people believe that if they eat coconut oil, they won't gain weight. After all, how could they if MCT-rich coconut oil can only be used for energy? Unfortunately, this logic doesn't hold up in the real world. Unfortunately, this logic doesn't hold up in the real world. Why? Your diet doesn't just consist of MCTs! You also eat lots of carbs, protein, and other fat sources. Although most of the fat in coconut oil is a great source of immediate energy that might itself not be stored as fat, it prevents other sources of energy from being used in its place.2 While your body is running on energy from MCTs, you won't be tapping into your body's fat stores for energy. Although MCT-rich coconut oil is a source of immediate energy that itself may not be stored as fat, it prevents other sources of energy from being used in its place. Remember that to resist weight gain, you must eat fewer calories than you burn. You can't simply shortcut biology with nutrition trickery. In my opinion, this is the weakest argument going for coconut oil. The power of ketones as a natural appetite suppressant is the driving force behind this myth. Ketones are created as a byproduct of the rapid metabolism of MCTs in coconut oil. They're both a potent energy source and a messenger that tells the brain you're full. Ketone production is also increased by very low-carb diets and is suppressed by eating carbs.2 This may be one reason why very low-carb weight-loss diets are sometimes reported to be more satiating than higher-carb, lower-fat weight-loss diets. In theory, the release of ketones sparked by coconut oil should help curb hunger and enable you to eat fewer calories with less effort. But again, this is a pretty simplistic understanding of nutrients. In the body things are much more complex, and your calorie intake and the rest of your diet will impact the amount of ketones created from the breakdown of MCTs. The power of coconut-oil-derived ketones to curb hunger is minimal when considering the rest of the average person's diet. Unless you are very low carb, don't expect much—if any—effect. So Is Coconut Oil a Scam? It is more resistant to spoiling than other popular cooking fats. For vegans, it is an effective butter substitute in baking or sautéing. It has a light, slightly sweet flavor that pairs well with many dishes. As discussed above, it is slightly less calorically intensive than some other fats. Depending on where you get it, coconut oil is often minimally processed and more predictable than, say, soybean oil in its quality and sourcing. In other words, coconut oil is good food. But that's the key: It's food! If you want to see its benefits, you'll need to make it one of many healthy choices in your diet, rather than a magic fat-loss bullet. Anything less is just wishful thinking. St-Onge, M.P., & Jones, P.J. (2002). Physiological effects of medium-chain triglycerides: potential agents in the prevention of obesity. Journal of Nutrition, 132(3), 329-332. Bach, A. C., Ingenbleek, Y., & Frey, A. (1996). The usefulness of dietary medium-chain triglycerides in body weight control: fact or fancy? Journal of Lipid Research, 37(4), 708-726. Rego Costa, A.C., Rosado, E.L., & Soares-Mota, M. (2012). Influence of the dietary intake of medium chain triglycerides on body composition, energy expenditure and satiety: a systematic review. Nutricion Hospitalaria, 27(1), 103-108. Dulloo, A. G., Fathi, M., Mensi, N., & Girardier, L. (1996). Twenty-four-hour energy expenditure and urinary catecholamines of humans consuming low-to-moderate amounts of medium-chain triglycerides: a dose-response study in human respiratory chamber. European Journal of Clinical Nutrition, 50(3),152-158. Krotkiewski M. (2001). Value of VLCD supplementation with medium chain triglycerides. International Journal of Obesity, 25(9), 1393-1400. Poppitt, S.D., Strik, C.M., MacGibbon, A.K., McArdle, B.H., Budgett, S.C., McGill, A.T. (2010). Fatty acid chain length, postprandial satiety and food intake in lean men. Physiology and Behavior, 101(1), 161-167.